The sun is a wonderful thing, the source of life on earth and a symbol of divinity in cultures worldwide, but it can take a disheartening toll on the skin, especially in the face and the features near it. Throw in the effects of gravity that accumulate over a lifetime and the gradual sagging of the skin’s elasticity caused by age, and you can see why people say that youth is fleeting. Crow’s feet, hanging jowls, puffy eyes, and many other undesirable characteristics arise as a result. With the help of Dr. Mark E. Richards, though, you can turn back the clock. His broad expertise in cosmetic surgery, including cheek lift, facelift, facial implants, and more, allows him to effect complete facial rejuvenation. Working from his Bethesda, Maryland office to serve all of the Washington, D.C. and northern Virginia areas, Dr. Richards strives to offer the nation’s finest and most innovative plastic surgery procedures to clients from throughout the world. In fact, facial plastic surgery is one of his specialties, as those who have witnessed the work he did for former White House employee Linda Tripp can attest. Read below to learn more about the many ways he can restore brightness and smoothness to the faces of his clients. A facelift is able to address many undesirable effects of aging, leading to a healthier, more rested appearance. If the effects of a previous facelift procedure have worn off, or if a previous facelift procedure yielded an unsatisfactory outcome, Dr. Mark Richards is able to make improvements for longer-lasting results. Also known as a forehead lift, a brow lift can help to correct an angry, worried, or sad appearance caused by skin losing elasticity over time. It can smooth out creases between the brows and along the forehead, and give the upper face a more rejuvenated look. Eyelid surgery (blepharoplasty) can help to give a more rested appearance to tired-looking eyes. Blepharoplasty can also improve your field of vision if sagging skin has gotten in the way. If your face is beginning to look hollow or sunken in, a cheek lift (also known as a mid-facelift) can often be beneficial. The overall appearance of your face can be enhanced, including the lower eyelid area, giving you a healthier, more youthful appearance. Excess skin on the neck can be a side effect of significant weight loss, or simply the natural aging process. 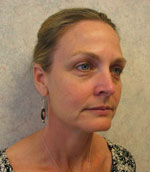 A neck lift can help to restore a smoother, firmer appearance. Revolutionary NovaThreads treatment can lift, smooth, and rejuvenate the face, neck, lips, and other areas without the need for surgery. Find out how this fast and innovative office procedure using just local anesthesia can provide lasting, natural-looking results, usually with no recovery time. Rhinoplasty can help improve the form and/or function of the nose, creating a better balance with your facial features. It can also improve functional nasal issues and breathing problems caused by a deviated septum. As a way to improve fullness and contour of the lips, Dr. Mark Richards offers several minimally or non-invasive procedures that can provide long-lasting results. Weak facial features can often be improved through the use of facial implants, such as cheek, chin, and jaw implants. This can help enhance a weak bone structure, creating a more contoured appearance to the face. Facial implants can also be beneficial when combined with other cosmetic enhancement procedures. All the procedures discussed on our website, from cheek lift to neck lift, are part of the physician’s arsenal as he attempts to bring about complete facial rejuvenation. Dr. Mark E. Richards, our nationally acclaimed cosmetic surgeon, is highly adept at performing all of them. His status as one of the country’s most innovative plastic surgeons allows him to completely revise the facial appearances of his clients with as little pain and recovery time as possible. To start your journey toward a younger, brighter look, contact Ageless Impressions – Plastic Surgery Institute today. We would also be happy to discuss any other procedures not listed on this site. 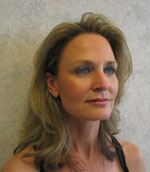 If you are interested in facelift surgery, contact us at Ageless Impressions – Plastic Surgery Institute today!